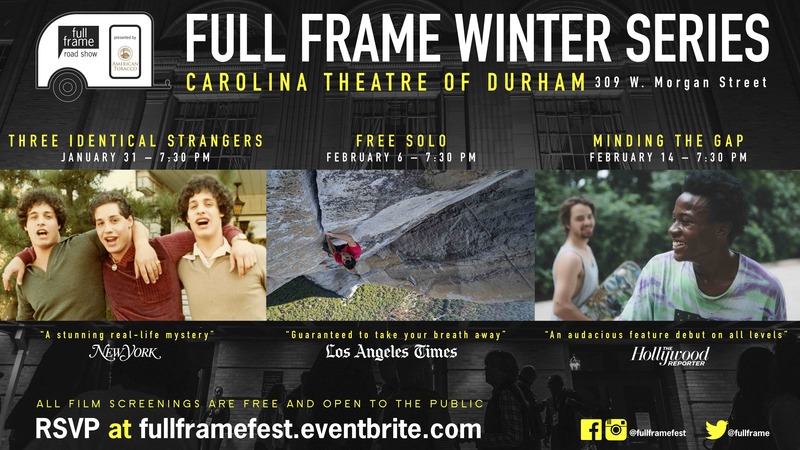 Presented by Capitol Broadcasting Company, Inc. and American Tobacco Campus, the Full Frame Winter Series presents FREE documentary screenings at the Carolina Theatre in downtown Durham. Don’t miss this chance to catch up on your must-watch list in time for the Academy Awards! Free RSVPs are recommended and can be made via Eventbrite beginning at 9 am the day before each screening.